Spring is here! We will be humming with activity for the next several months as our short growing season kicks into high gear. This month we anticipate the arrival of herbs, hardy perennials, veggie starts and bedding plants. Outdoor furniture is here and assembled for your convenience. Easter is on April 5th this year. Be sure to stop in soon for a beautiful potted lily or fresh cut flowers for the holiday. We have a charming selection of Easter decorations from bunnies to baby chicks. These will delight the young and old alike. Browse our latest selection of table linens and find something to freshen up your Easter table. Check out our kid’s section and find fun, unique and educational toys to tuck into Easter baskets. Gourmet chocolates and candies from Marigold Café are tempting additions to Easter festivities. We hope you find our monthly newsletter helpful and informative. Like the spring weather, we are constantly changing around here. In addition to this newsletter, you can follow us on facebook for the latest news, tips and arrivals. We now have 21 boards to follow on Pinterest. From our children’s gardening to edibles, you will find fantastic ideas, images and inspiration. 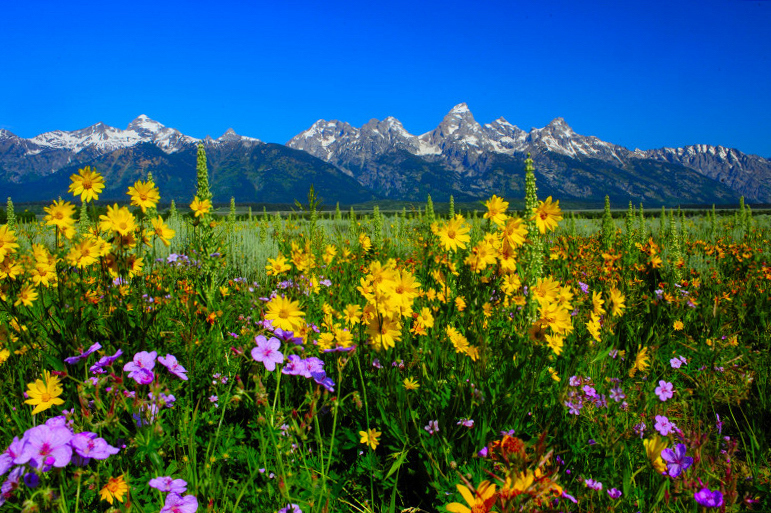 We are honoring Earth Day with Earth Savings! All bags of soil and compost will be 15% off from April 22nd – April 25th. While it may have felt like April all winter, now this busy month is here and there’s much to do. Some simple tasks now will pave the way for a healthy lawn and landscape all summer long. Using clean, sharp tools, prune any dead or damaged branches from trees and shrubs. A light ‘hair cut’ on arctic willows, summer-flowering spirea and potentilla will encourage healthy new growth. Avoid pruning spring flowering shrubs and trees like lilac and crabapples, as doing this will cut off this year’s flowers. Cut back ornamental grasses and perennials to the ground. Rake leaf litter off of flower beds. Rake lawn areas and spread a pre emergent weed control like Fertilome™ Broad Leaf Weed Control or Concern™Weed Prevention Plus. Rake fallen leaves off flower beds and from around trees and shrubs. This is especially true if you had any fungal or insect problems last year. Insect eggs and fungus spores can overwinter in leaf litter, perpetuating the cycle. Spread mulch over flower beads and around trees and shrubs to prevent weeds and conserve moisture. Sow spinach, peas and radishes directly into the garden later in April. Make spring clean up easier with the right tool for the right job. Stop by to find the best rake, weeder, pruning saw or shovel for the job. Invest in a handy garden cart or wheel barrow to help move debris, plants or heavy bags of product around. Protect your hands with good gloves. We now carry Hestra™ work gloves. Involve your kids and outfit them with pint-sized tools and work gloves. Are you planning to grow pole beans or peas this year? This simple project will add a truly unique and practical element to your veggie patch. To begin, collect some tall branches from shrubs or trees around your yard. Elderberries, dogwoods or aspen branches will work well. They should be about ½ to one inch diameter. Avoid using willows as these may root out into your garden over the course of a growing season. Line the sticks up in a grid pattern and tie the joints with garden twine or wire. 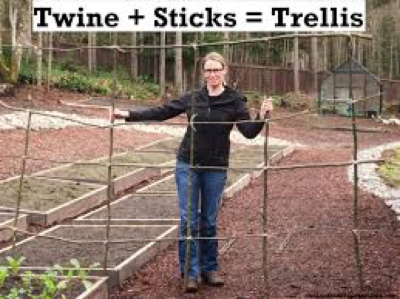 Stand the trellis up and stick the base of the branches firmly into the garden bed where you will be planting. Plant a row of peas along both sides of the trellis. As your peas grow taller, the tendrils will start reaching for your trellis. A little gentle training onto the trellis may be in order until they get tall enough to climb on their own. 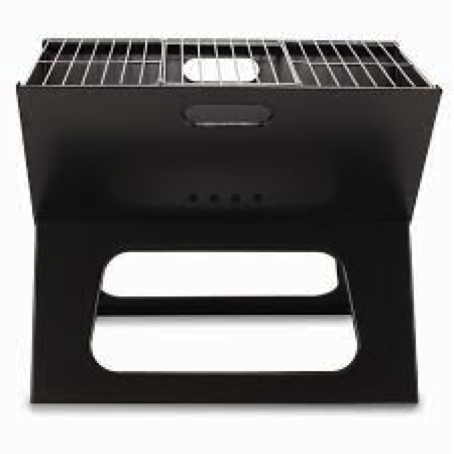 Just in time for spring tail- gaiting, we have folding grills, umbrellas, tables and chairs from Picnic Time™. 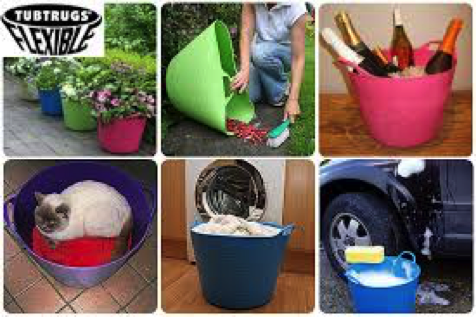 wash your pet in, for yard clean up, to collect your harvest, you name it! 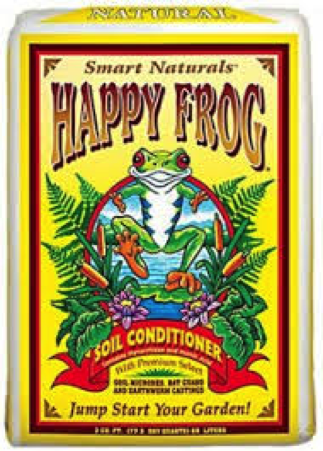 Happy frog soil conditioner: Jump-start your garden with this nutrient rich soil conditioner. It’s ideal for amending existing garden beds or top dressing container plants. 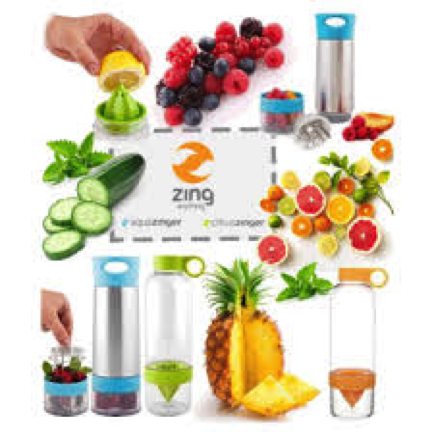 Zinger™ water bottles: No more complaining about boring water! These clever bottles have a built in citrus juicer or fruit infuser.